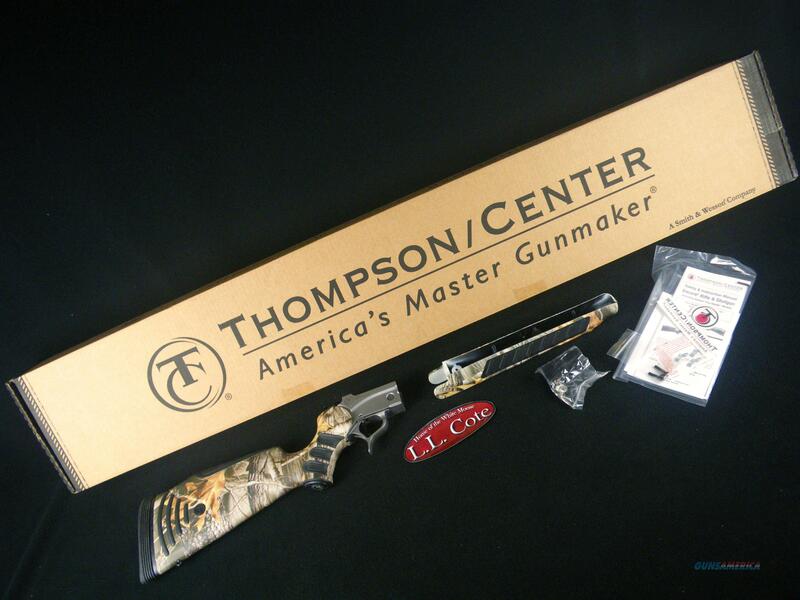 Description: You are bidding on a Thompson Center Encore Pro Hunter Platform. Thompson/Center's Encore Pro Hunter interchangeable platform represents the most complete shooting system available. With a multitude of stock options, frames and barrel configurations available, the Encore Pro Hunter consistently delivers unmatched versatility in both the field and out at the range. The Encore Pro Hunter System can quickly be configured as a muzzleloader, centerfire rifle or a shotgun. You’re only two minutes and two screws from adapting to nature’s challenges and opportunities. Displayed images are stock photos. Any questions please feel free to ask (our phone number is in the additional information tab above).